3d rendering of colorful pyramids with the signs of chemical elements turning down in the black background. They create the spirit of cheerfulness and scientific inspiration in seamless loop. 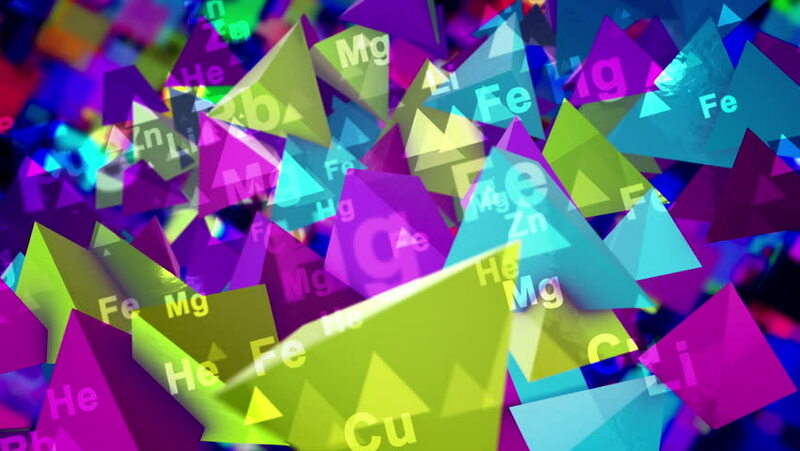 4k00:10A striking 3d rendering of sparkling multicolored pyramids with the signs of chemical elements flying up and down in the black background. They generate the mood of fest and optimism in seamless loop. hd00:20Moving geometric shapes. Transforming squares. Looping footage.